Fear keeps you from acting. Ask yourself this one question, “What would I do if I were not afraid?” See how fear is keeping you from doing what you really want? 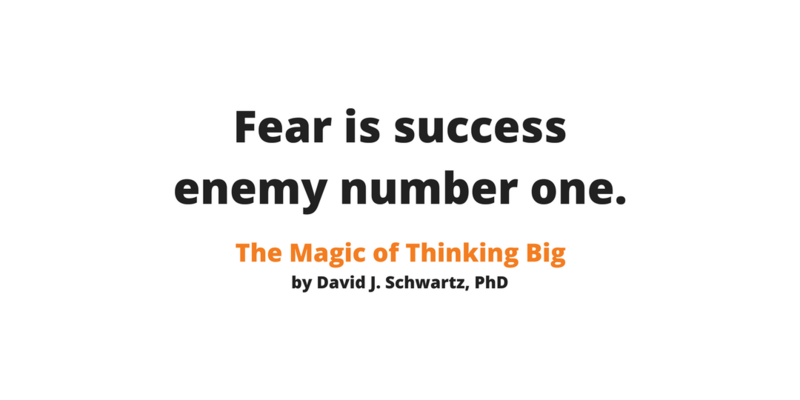 See how debilitating fear can really be? Fear keeps people from speaking when they want to speak. Fear keeps people from deciding when they need to decide. Fear keeps people from achieving what they want in life. Don’t let anyone tell you your fears are in your mind. Your fears are not a product of your imagination. They are real. And unless you learn to conquer your fears, you will never achieve the success that you desire. The cure for fear is action. So, decide today what you most fear. And then decide what is the best action to conquer this fear. Then, act. Do what you need to do to achieve what you want to achieve.